German made IPX4 waterproof phone case fits the LG G5 mobile smartphone and 20.5mm - 24.5mm Motorcycle yoke stem mount. Touch screen lens with anti-glare properties. Hinged with strong twin side clips with waterproof seal. Cable access with weather cap for when not required. The 1" Ball fixing. Light weight - made from Aluminium. 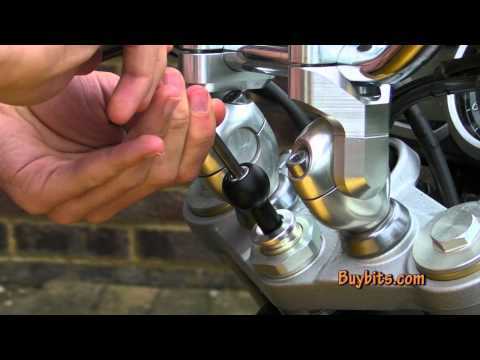 Important: First check that your stem cover can be removed leaving a central hole for the mount to fix in - Simply drop the Fork Stem Motorcycle attachment into the hole of the stem and tighten. The split shaft will expand to fit the inside wall of the fork stem Use an Allen Key to tighten to create a tight fit.